Over 1,600 attendees from the worldwide Laserfiche community took part in the Empower 2013 Laserfiche Conference from January 7-9, 2013, in Anaheim, CA, including customers, VARs, prospects, analysts and Laserfiche employees. 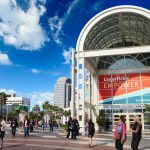 With over 150 training courses, customer success story presentations, user group meetings and more, Empower 2013 was the largest Laserfiche conference to date. 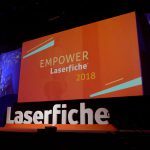 Company Founder and CEO Nien-Ling Wacker set the tone for the conference with a kick-off keynote speech unveiling the release of the Laserfiche 9 product line. In her speech, Wacker also announced the launch of the new Laserfiche Simplicity 2.0 blog, which offers inspiring stories and best practices for managers, business users and IT professionals. Training courses throughout the conference offered attendees the first hands-on training for Laserfiche Forms, business processes and additional new features of Laserfiche 9. This year, the capacity of most of sessions increased significantly to accommodate users’ interest in the new product line. Some popular classes contained more than 250 people! 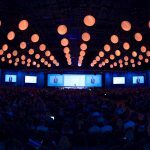 Presentation materials for most conference training sessions are now available to download from the Laserfiche Support Site. See the full discussion on the Laserfiche twitter page. Laserfiche also recognized twenty-eight 2012 Run Smarter Award winners during a special awards ceremony. Representatives from each winning organization accepted their awards on stage—and showed off their dance moves! Laserfiche extends a thank you to every customer who attended Empower 2013. Laserfiche staff has already begun planning to make next year’s conference even bigger and better!